Fortify Yourself: Pants with flare? Or team skinny? 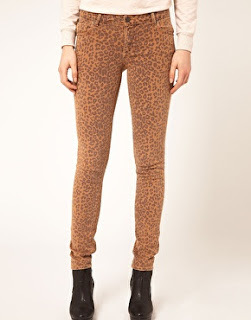 Pants with flare? Or team skinny? Are skinny pants really going out of flavour? I admit I was late to join the skinny pants craze because they aren't exactly the thing you parade around in just after having a baby. Better late than never though and now I am NOT willing to give them up. Skinny cut jeans and pants just suit me and they allow me to wear those looser tops which I just love. So despite the best efforts of designers and fashionistas I will not be giving them up just yet... even though they are apparently killing us! I have been thinking about mixing up things with some patterned pants though. But I wonder if that trend it a little bit to young for this 40-something mother of three. 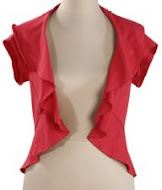 So I've been spending some quality time with the internet trying to find more mature ladies who have been sporting this trend, and it's slim pickin's. But there is always a way to 40-fy any trend! I'n my Uni days I was a fan of the tartan pants - I thought they gave me an English punk-rock edge. Sadly, nothing was going to give this country girl anything close to a punk-edge, but it didn't stop me trying. Oh God! I even wore Doc Martens. Anyway, moving swiftly on. Here are some of my favourite patterned pants looks. I really love J Brand - their pants and jeans fit me really well, so I sort of love these jeans even though I'm a little scared that the flowers could look a little granny-chic on me. But a neutral top and neutral shoes plays down the flowers nicely. Yummy! 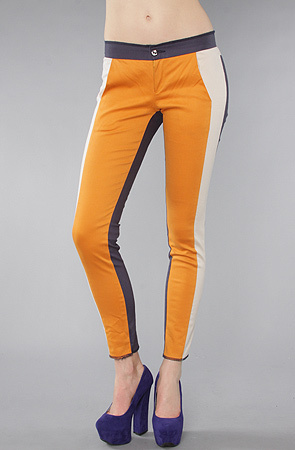 Love these colour block skinnies from Washborn ... I am seriously tempted to buy these little beauties. They also look like they have the added benefit of being tres slimming. Yes to that! These from ASOS are fun, but probably not for me. Cute though.